If you’ve ever had bacon-wrapped jalapeno poppers (we’re pretty sure you have), then these are better. 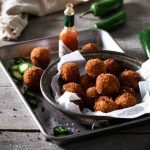 This recipes is everything that makes jalapeno poppers so good but ours are rolled into a balls, breaded & fried so they’re cheesy & really crunchy. What’s not to love? 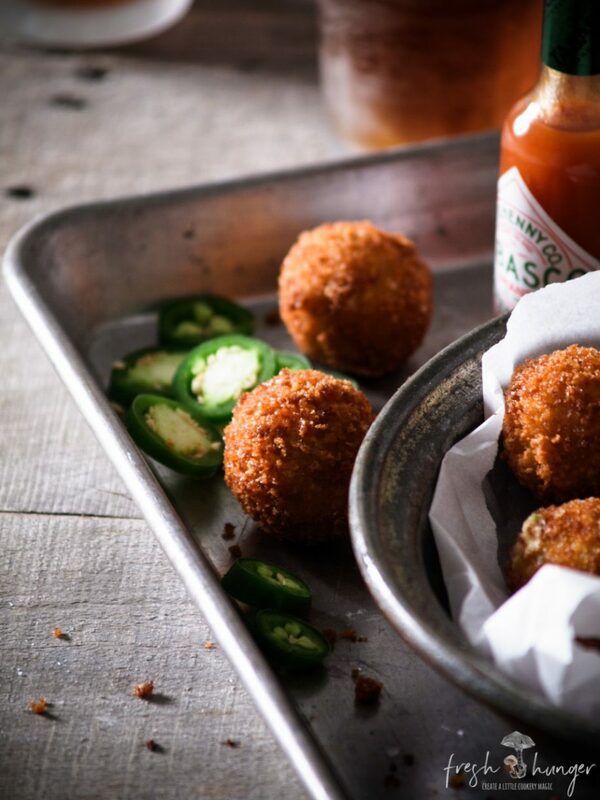 So crunchy on the outside, inside these delectable morsels are molten, gooey cream cheese, cheddar & Swiss; smoky bacon; diced fresh jalapenos (obvs, right?!) & garlicky. In other words – heavenly! 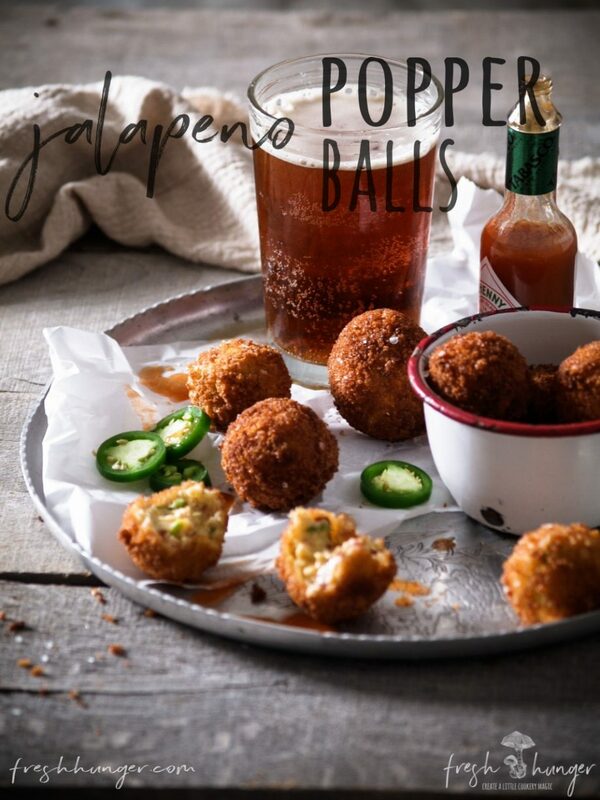 Jalapeno Popper Balls are the perfect appetizer because not only will everyone flip-out over them & think you’re a genius, but they can be prepared ahead of time. When you’re hosting any sort of gathering, make-ahead food is key for a successful, stress-free soiree. That & good cocktails like these Long Island Iced Teas. Choosing a favorite recipe can be like choosing a favorite song – it’s impossible to just choose one, but this recipe is definitely on the top 10 list. You don’t have to be a culinary wizard to make them, they’re make-ahead, they’re made with only a handful of ingredients, they’re crunchy AND melted cheesy & what’s more – they’re bloody delicious. We love them. You will too. They’re the ultimate party food. 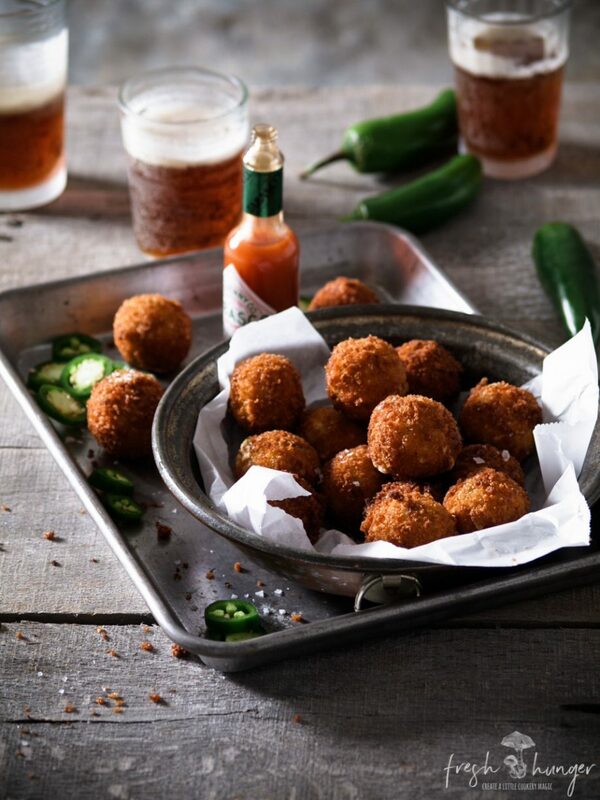 So are these Sauerkraut & Beer Brat Balls. This recipe can easily be doubled for feeding a crowd. And these can be made ahead of time. Just take them from the fridge about 30 minutes before you cook them to ensure maximum cheesy melt when you bite into one. Combine bacon, cream cheese, cheddar, Swiss cheese, jalapeno, hot sauce, garlic powder, salt & pepper in a medium bowl. Cover a baking sheet with parchment or waxed paper. 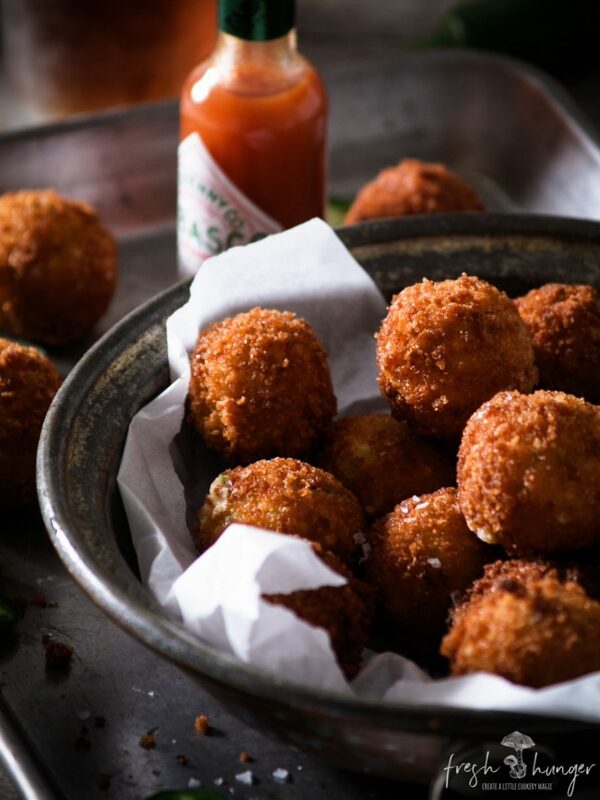 Drop 1-tablespoon of cheese mixture onto the baking sheet; roll into balls. Whisk eggs & milk together in a shallow bowl. Place flour in a separate shallow bowl. And breadcrumbs into a third shallow bowl. 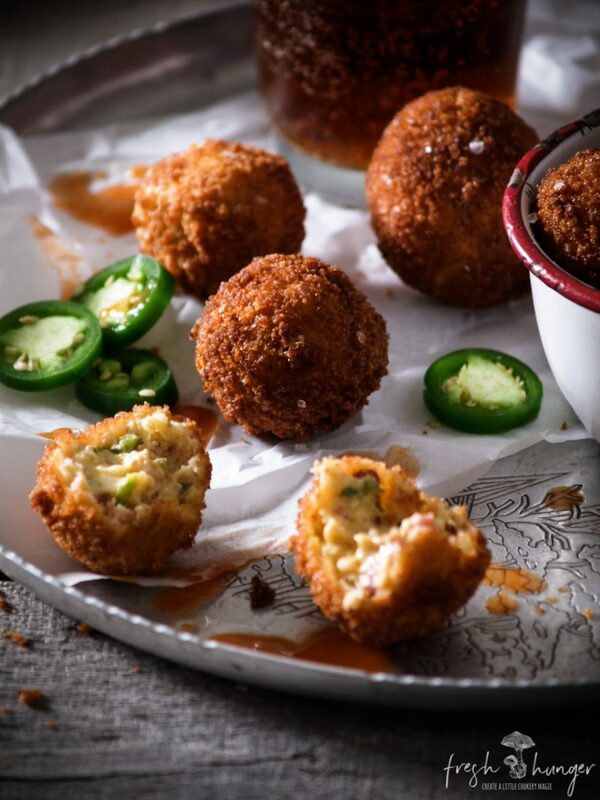 Toss each ball in flour, then dip into the egg mixture & then roll into the breadcrumbs. Place on the baking sheet. Heat oil in a large wok or deep pot until it reaches 375F on a candy thermometer. Have the oven set to warm. Cook balls in batches for 2 minutes or until golden brown. Keep warm until ready to serve (preferably no longer than 20 minutes. Serve with extra hot sauce. Makes about 26.